Summer is short for most parts of Russia, so it’s no wonder you’ll see it crammed with spectacular outdoor events of all sorts. From the riverside weekend bash where music meets technology to breathtaking marching band shows – there are summer festivals for every taste. We’ve made a list of Russia’s summer events you shouldn’t miss. One of the oldest and best known open-air festivals in Russia, Afisha Picnic takes place once a year at a former Tsar’s estate right on the banks of Moskva River. Known for scoring some of the hottest international music acts like Arctic Monkeys and Foals, the day-long festival also offers an amazing program that includes workshops, lectures, quests, an open-air museum, a marketplace, and a food court making it a perfect place for a day of family fun. 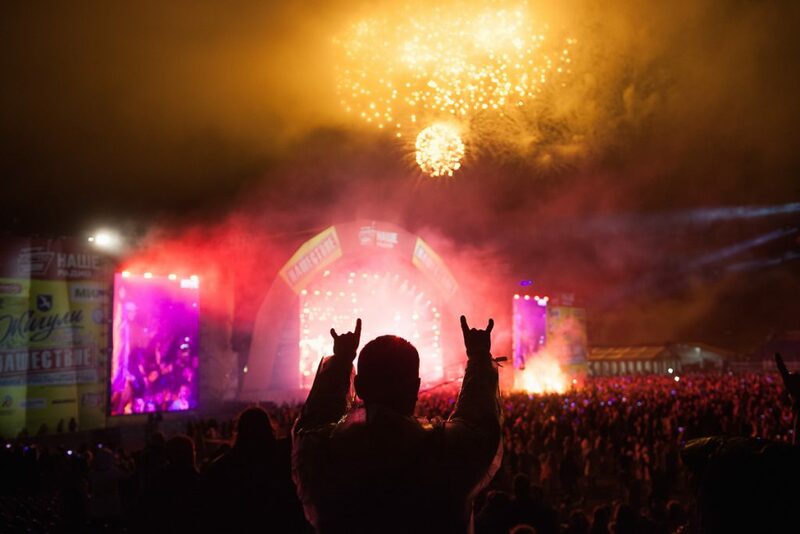 One of the pioneers of Russia’s open-air music festivals, Nashestvie which translates as “invasion”, is set up once a year by the country’s most popular rock radio station. Over the years Nashestvie has acquired a reputation the event to attend for camping-loving rock music fans, who don’t mind taking a three to four hour ride from Moscow and living in a tent for three days, to watch the elite of Russian rock perform at “the main adventure of the year” . Grushinsky Bard Song Festival is yet another music event with a dedicated following. 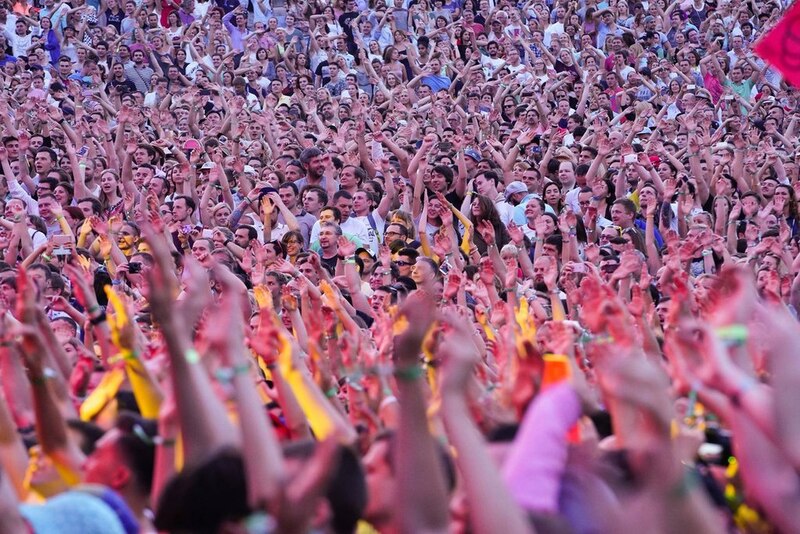 It dates back to 1968, making it one of the oldest music festivals in Russia. Set against the beautiful background of Mastryukovo lakes, the festival ( which the regulars affectionately call “grushinka”) originally focused on bard songs, but eventually has grown to be a culty folk music event featuring a variety of styles. 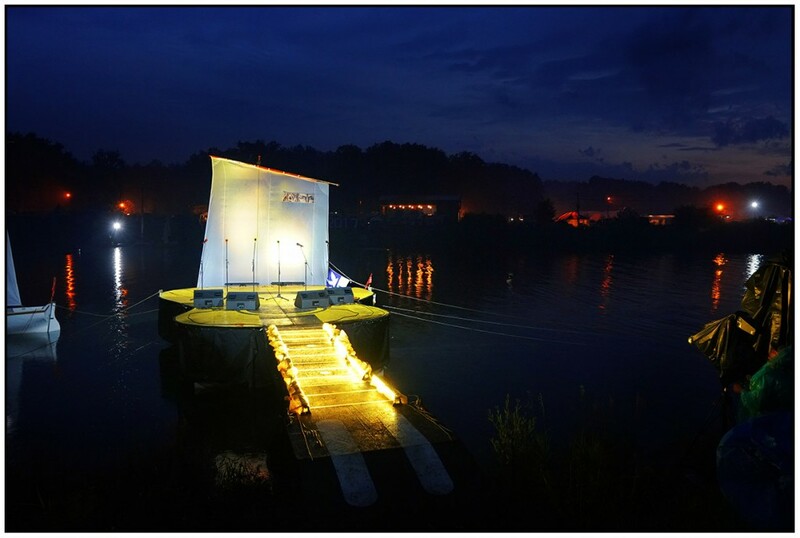 Grushinsky Festival is known and loved for its stellar lineup, communal atmosphere and the guitar-shaped stage set up right on the water, with the fingerboard being a bridge to the shore. Russia’s most prominent jazz-event, Usadba Jazz Festival occurs six times in six different cities during summer. With its lineup promising internationally acclaimed stars (both Russian and foreign) the festival features four stages – one of them for kids – and more jazz-styles than you can think of. Apart from its music, Usadba Jazz also offers lots of things to do including vintage and designer fairs, brass band shows and playgrounds, and closes with an impressive firework. The trendiest electronic music, technology and contemporary art are the things that draw crowds to the banks of Volga River. 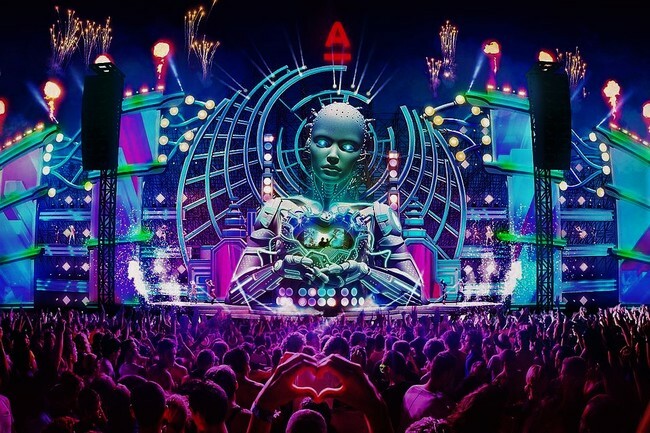 With a hundred of the world’s best DJs, and the biggest stage in Russia, Alfa Future People has risen to prominence on the international electronic music festival scene. Apart from having a lineup to die for, the festival offers camping areas, outdoor yoga classes, and a food court with over 30 restaurants. 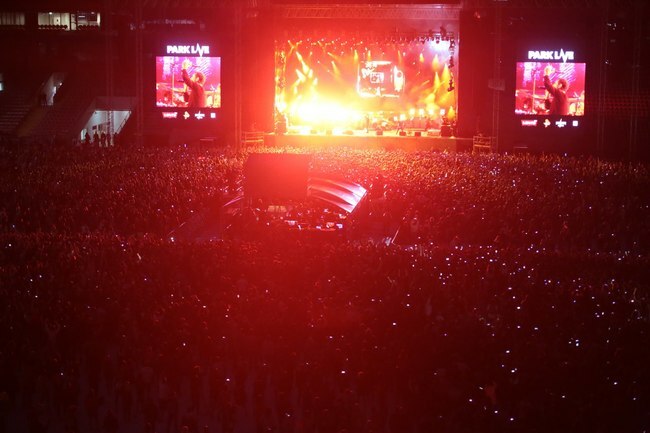 Favored for bringing to Russia such international headliners as the Muse, The Killers, Paramore, the Red Hot Chili Peppers, System of a Down, Three Days Grace, and Twin Atlantic among others, Park Live festival has become one of Russia’s most expected music events. First held at VDNKh in 2013, the festival soon outgrew the venue and now takes place at the newly built Arena CSKA. 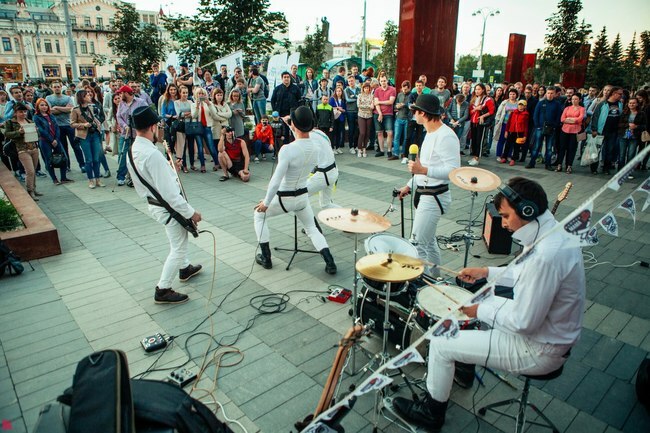 Equipped with its own app, Ural Music Night Festival invites you to travel around the city of Yekaterinburg and choose from over a hundred of venues, where you can listen to all kinds of music imaginable. From atmospheric ambient, bashing rock-n-roll bands, to string quartets playing Tchaikovsky’s “Four Seasons”: the festival makes diversity its mission, uniting different music genres and equally different people, the latter are supposed to get together at a gala show after the night of music hopping and meet the new sunset singing in a choire. Set against the stunning backdrop of Moscow’s historical centre, Spasskaya Tower is a sheer fest for the eyes. 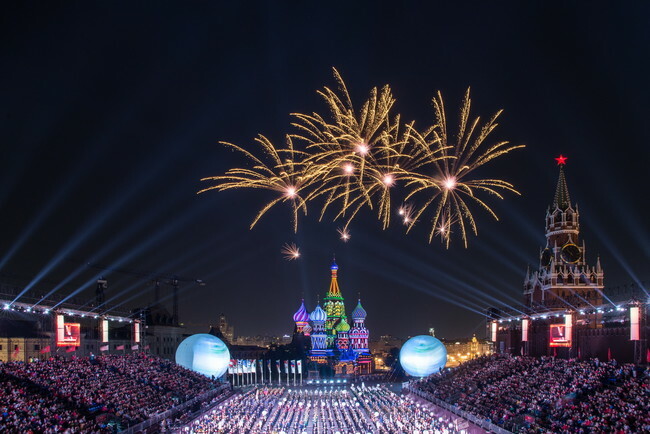 Arguably Moscow’s most striking summer event, it brings together history, theatre, music and revives the tradition of outdoor marching band performances. No wonder the festival draws crowds every year: watching fully-dressed marching bands perform at one of Europe’s oldest historic sites is something to put on your bucket list.